This is the first time such an order, designed to protect the public, has been granted in an HMRC case in Scotland. 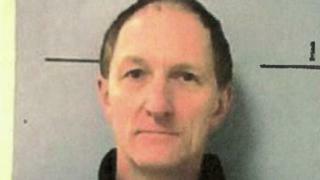 Farrell, from Thorntonhall, was jailed last month after he admitted VAT fraud. The conditions of the order mean he will have to notify HMRC of business interests and face restrictions on bank or building society accounts he owns. Farrell will also face limits on the amount of cash he can possess and will have to notify HMRC of his income, plus his general finances, assets and investments. Under the legislation he will also be limited to one mobile, one computer and one landline at each premises he lives or works. The fraudster will have to notify HMRC of all intended travel outside the UK at least 14 days in advance of his departure date and will not be allowed to use any aliases on any identity documentation. It also forbids communication with four named individuals. Last month a court heard Farrell used fake passports and driving licences to set up bogus companies and bank accounts to fraudulently claim VAT repayments. He used the cash to pay most of a £96,000 confiscation order. An HMRC investigation found he had laundered £75,000 of the money through a bogus Cypriot account. The confiscation order was imposed on Farrell after he was jailed for five years and eight months for running a counterfeiting operation at a factory in East Kilbride producing fake banknotes. HMRC began looking into the bogus companies after concerns were raised about the VAT claims and an officer visited Farrell, who was using the name Andrew Strachan. However, Farrell's false identity was exposed when an HMRC officer recognised him from a newspaper article about the forgery confiscation order. HMRC officers searched Farrell's home on 5 June 2013 and found more than 24 mobiles, laptops, memory cards and false passports which they seized. The Serious Crime Prevention Order was granted by the court following an application by Crown Office and the Procurator Fiscal Service. Cheryl Burr, assistant director of the fraud investigation service at HMRC, said: "This was a shocking ploy by Farrell to pocket public money. "His actions were one of pure greed, so he could lead a comfortable lifestyle in a house worth more than £1m. "The VAT he illegally reclaimed could have paid for the equivalent of seven new nurses in Scotland for a year."